High elevation coniferous forest generally at elevations of 10,000ft or above. This mushroom will stains red shortly after nicked or scratched. They are fairly robust in size. 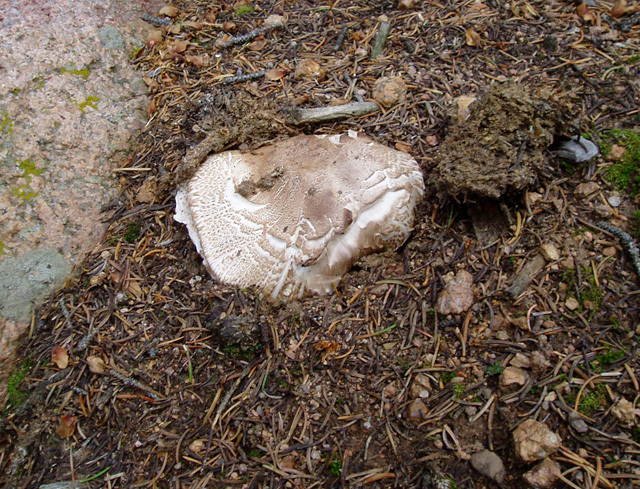 This mushroom was found at about 11,000ft in elevation. Some sources list its edibility as unknown or not documented. Mushroom hunters in Colorado commonly eat this mushroom. It is also said to be related to or the same as Agaricus silvaticus which also stains red however A. silvaticus is much smaller.